18 fresh levels have been added to Captain Toad: Treasure Tracker on Nintendo Switch, all playable on your own or in co-op. While the game has only recently been introduced to the chaos of cooperative play, it definitely adds an interesting new element to the mix. How exactly does co-op change things then, and is Captain Toad: Treasure Tracker – Special Episode DLC worth checking out? While I’m not necessarily talking about the five new stages, when it comes to the Boo hunting and Crown Capture-specific challenges having two human characters playing certainly does make things much easier. Playing the former on your own, for example, means using the Double Cherry power-up to take down Boos, and controlling two Captain Toads at once can prove a bit of a handful. And since Crown Capture is all about grabbing tokens within a time limit, having two human players to cover a wider area as you can imagine makes things less of a panic. This was something my wife and I picked up on when we tried the original selection of stages in co-op and the same applies here since, yet again, both players are able to spin the camera around. As you can imagine without communicating or nominating an official ‘controller of the camera’ things can become a bit of a battle especially if you’re both in different parts of the level. We managed to see the funny side to it, at least. That’s right, with someone else wandering around the stage, there’s always the chance that they’ll see something that you don’t – like one of the three collectible gems or a hidden stash of coins. It’s perhaps an unsurprising observation to make, but it’s a beneficial one whether that be parents teaming up with youngers. What Are The Highlights of the DLC? 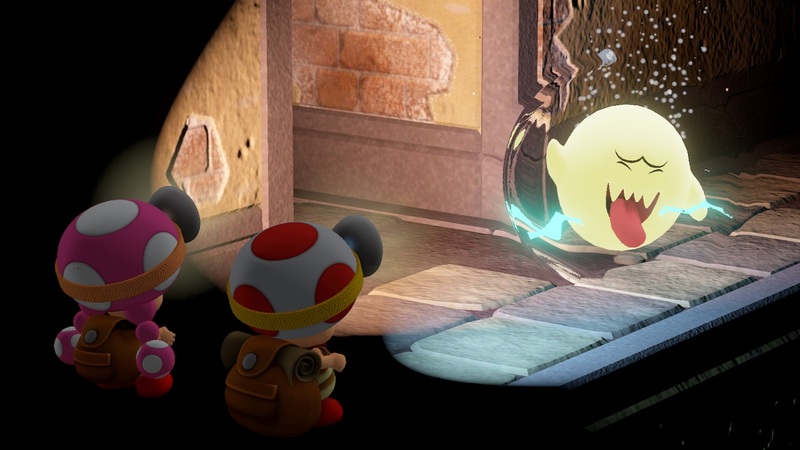 Of the 18 levels that the Captain Toad: Treasure Tracker – Special Episode offers, only five of them are truly new. The rest are made up of remixes of older levels that might have you chasing down Boos or snatching up crown tokens in a limited time. It probably comes as no surprise that it’s the brand new levels that easily prove to be the highlights. Goomba Galleon, for example, has you slowly making your way through a beached ship eventually sinking half of it even further into the water. Perhaps the best of all though – Cocoa Meltdown – takes place in a land literally made of sweet treats, hot chocolate a constant threat as it rises and falls. Captain Toad: Treasure Tracker – Special Episode is now available exclusively for Nintendo Switch.